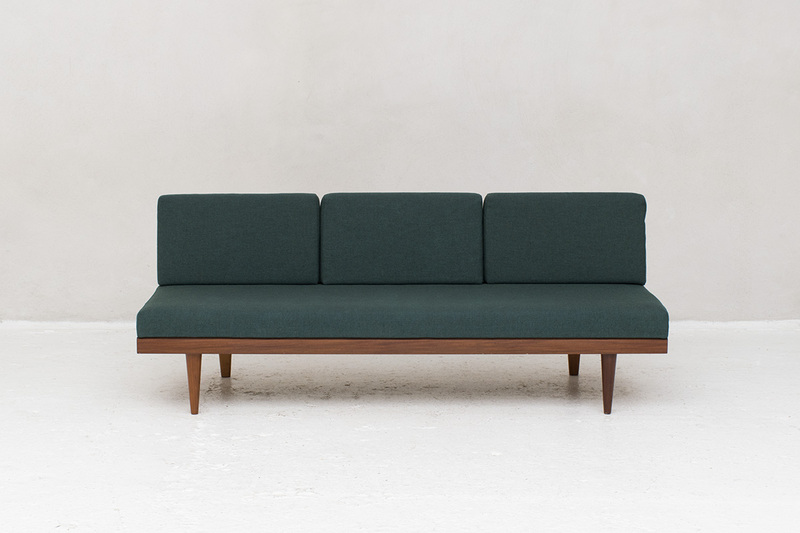 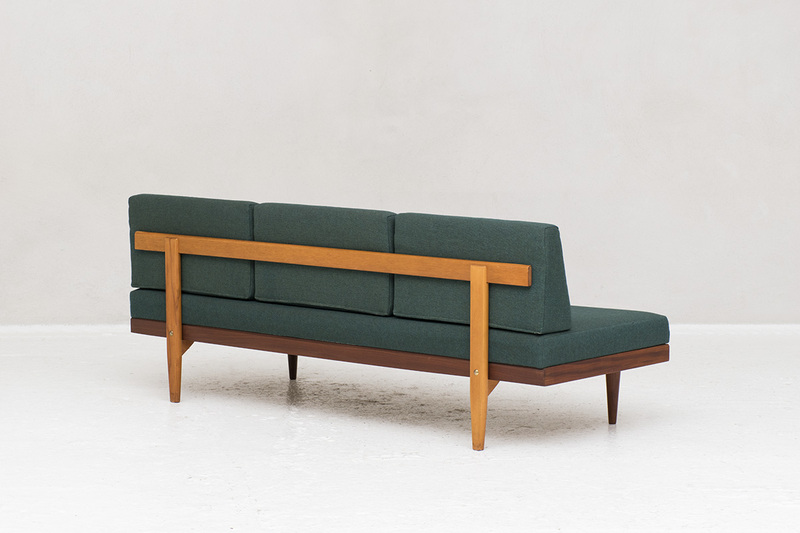 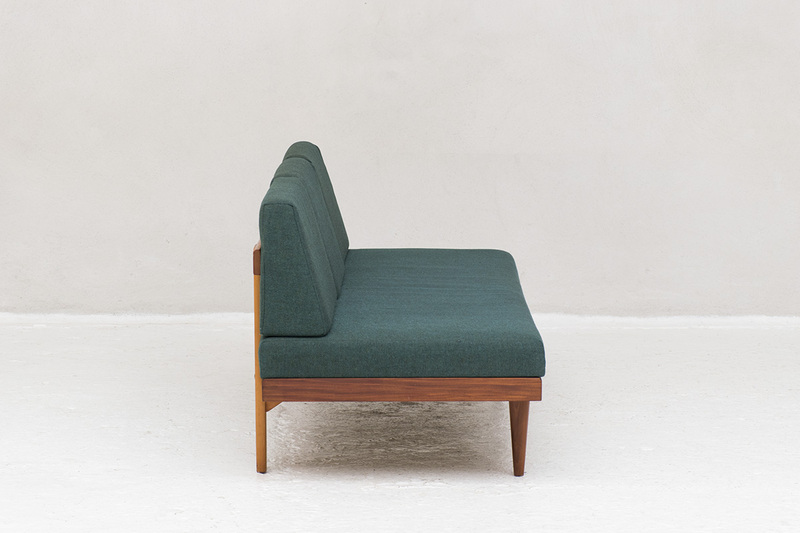 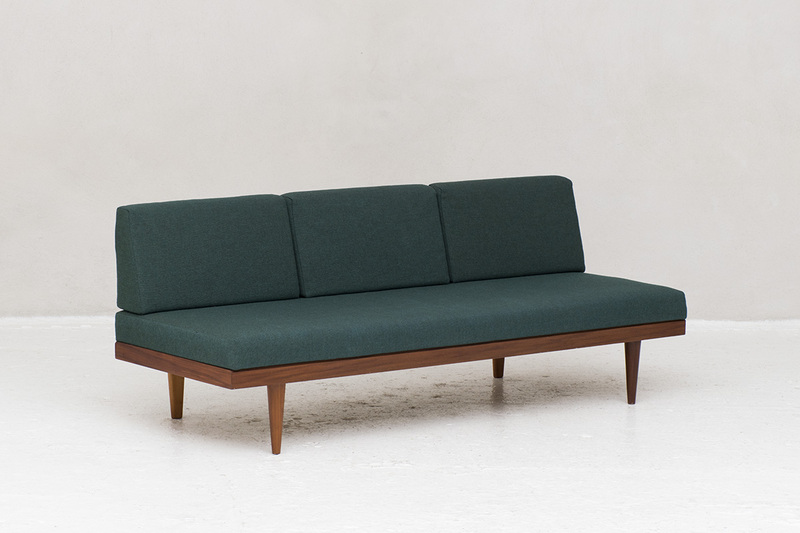 3-seater sofa or daybed produced by Swane Mobler in Norway in the 1950s. 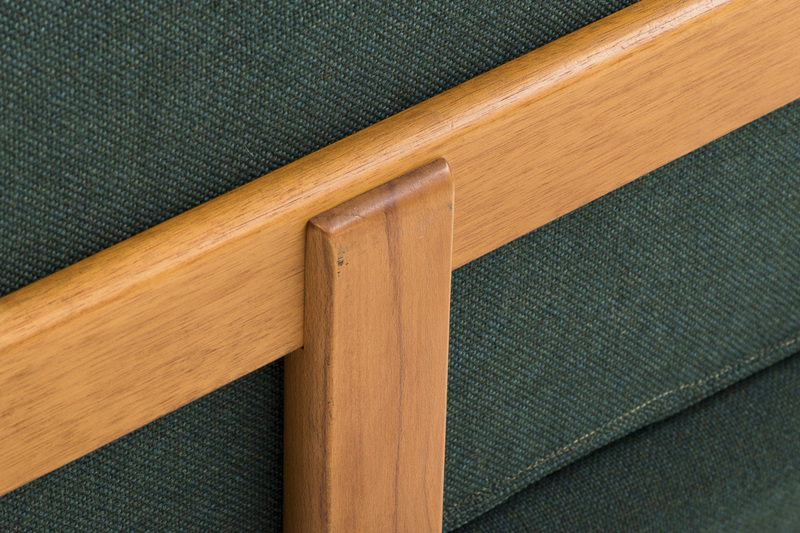 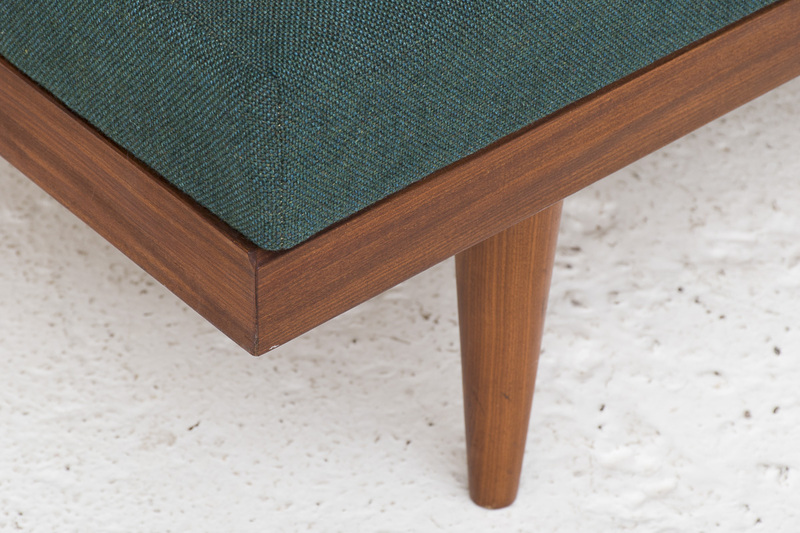 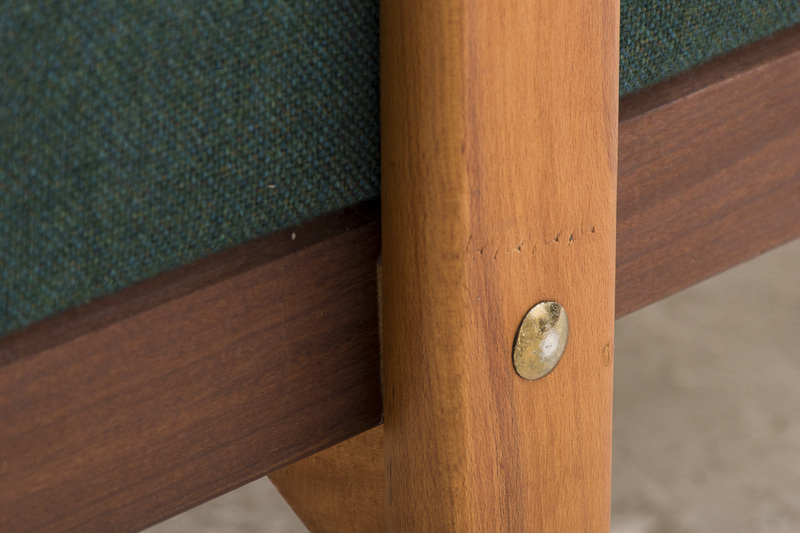 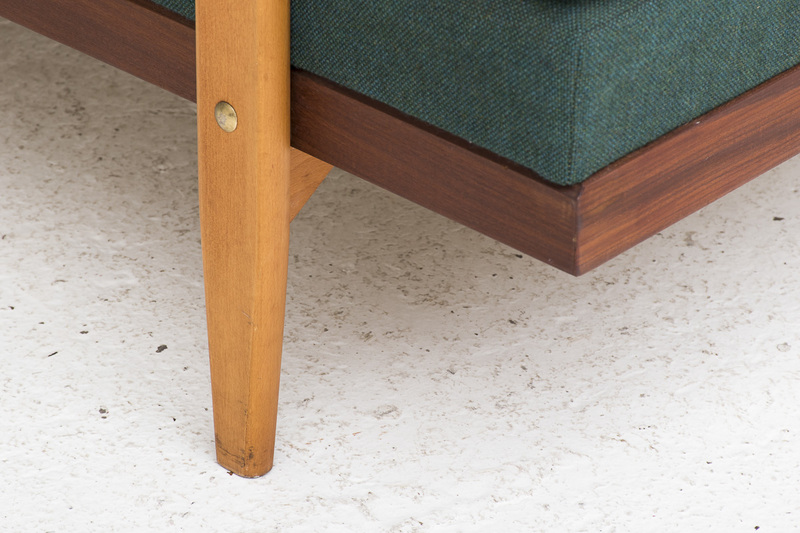 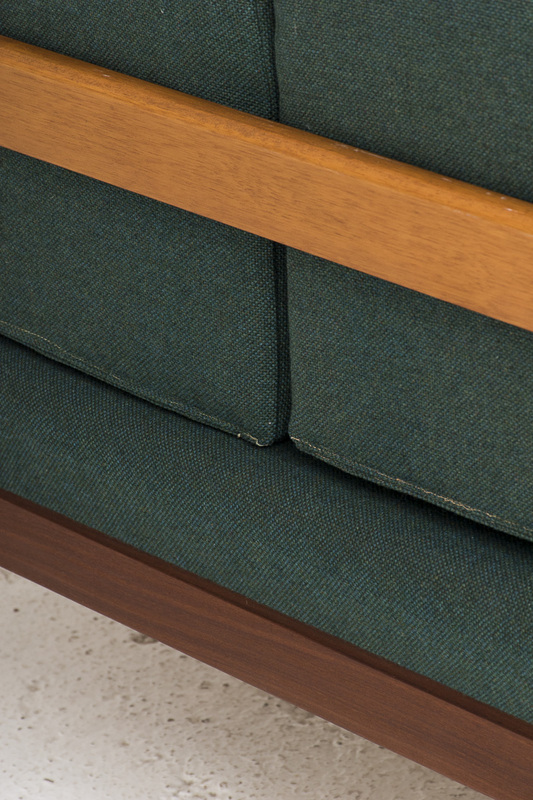 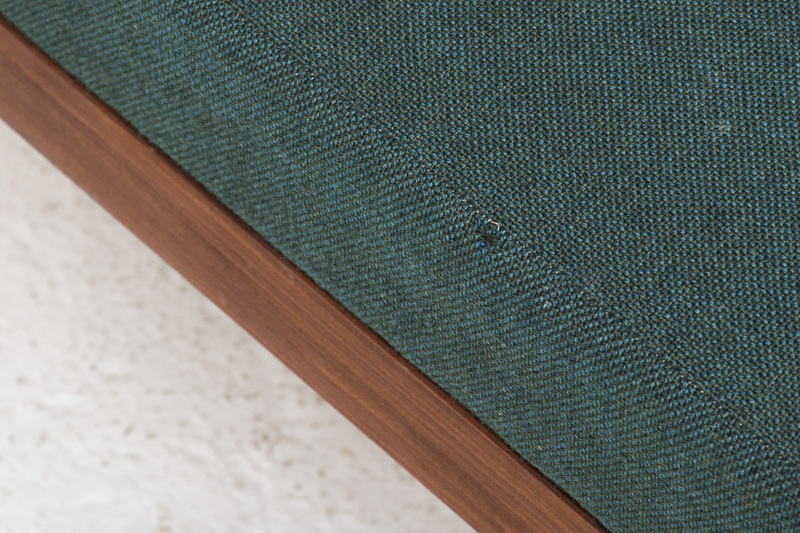 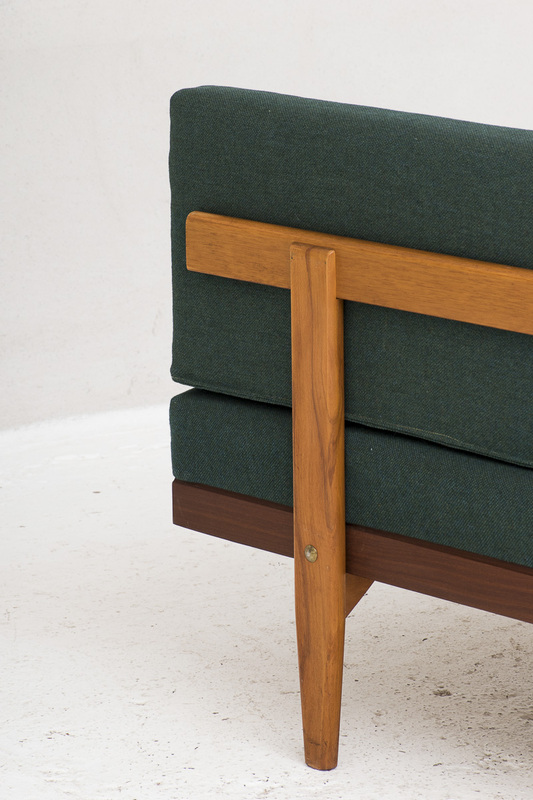 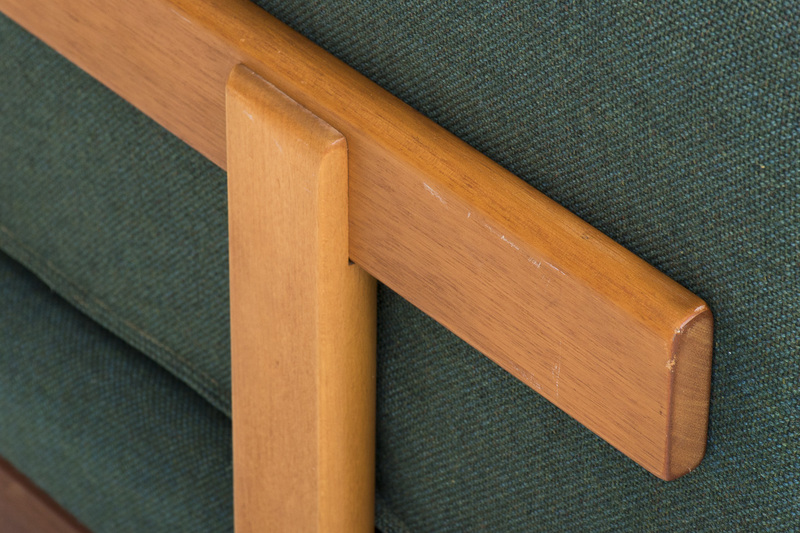 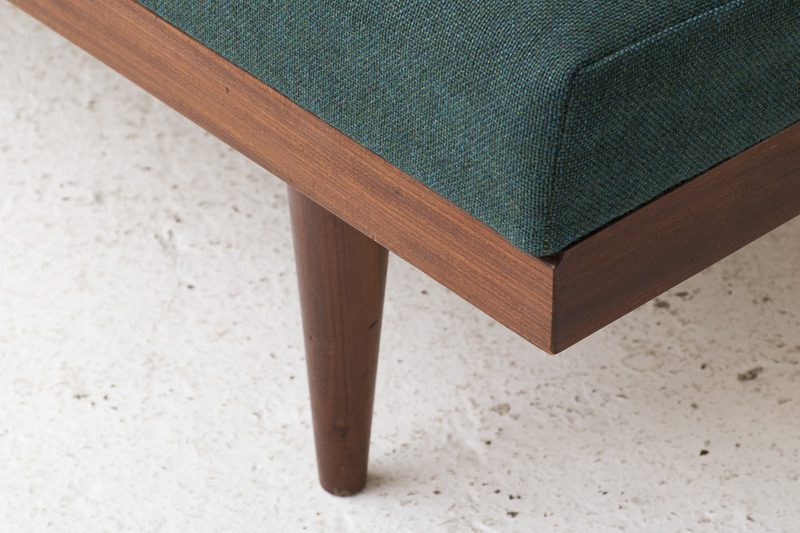 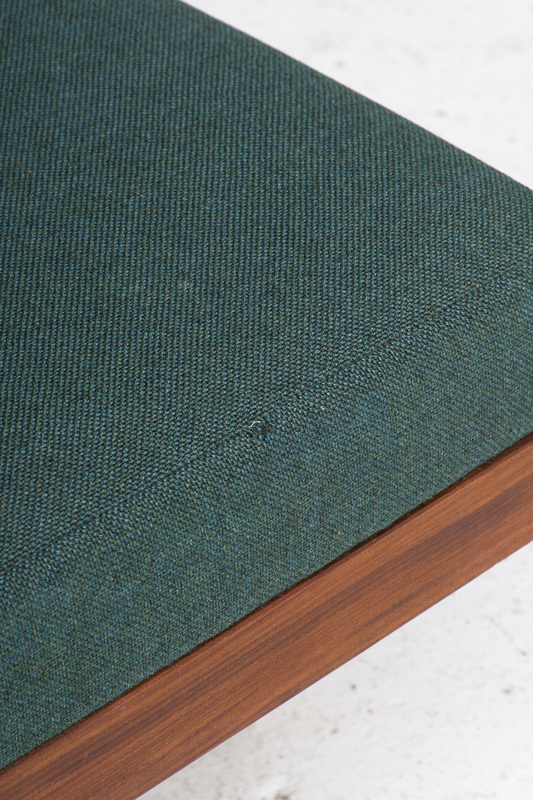 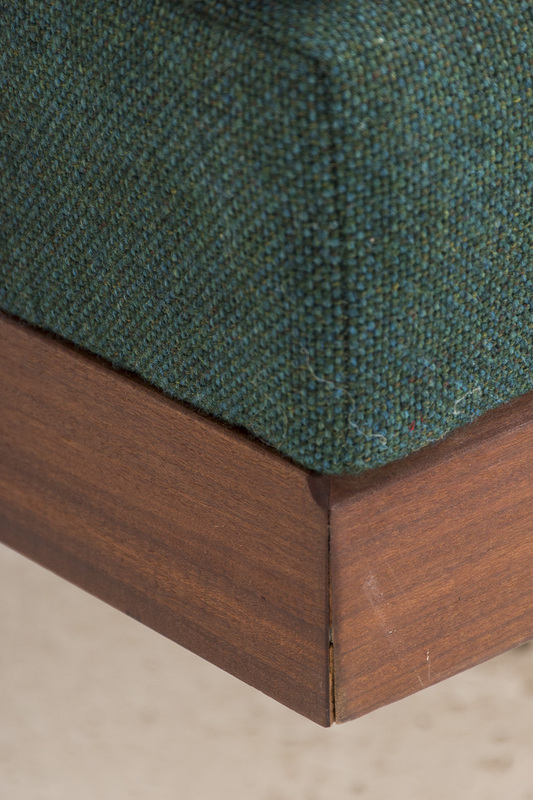 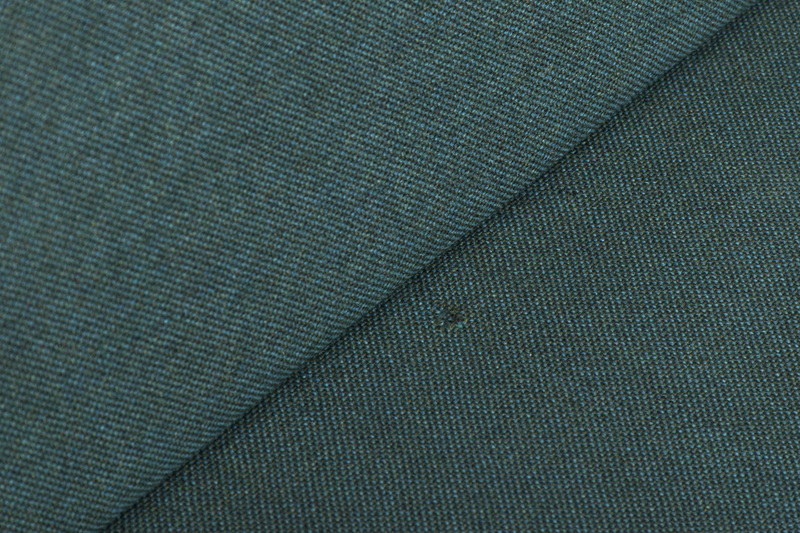 The forest green cotton upholstery has some slight using marks. 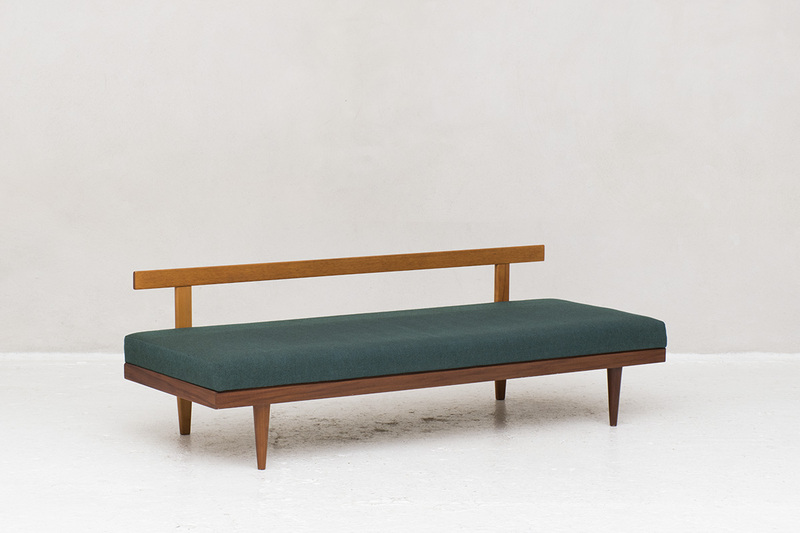 The solid frame is made from a dark teak and the back support is in a lighter shade of teak.